Coming Sunday Sept 25th… Newtonville Village Day and Jazz Festival featuring a Fantastic Lineup on the main stage with Newton North High School Jazz Ensemble opening up; Vocalist Isabel Stover; The Gravel Project – organ jazz at it’s best: International Touring artists The Revolutionary Snake Ensemble; and closing with the NEJazz Festival AllStars with some special guests… this all starts at 12 noon and wraps up a little before 5pm. Tons of vendor booths, roaming train rides for the kids; food and drink from the local restaurants… located on Walnut Street in between Washington and Cabot Streets. 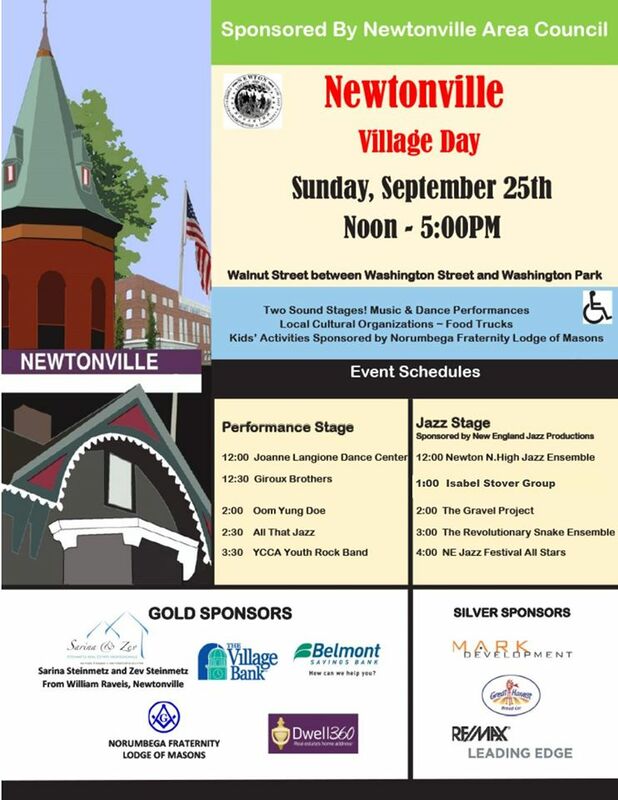 Don’t miss Stephen Bourassa, Jordan Gravel, Leo Colon, Rich Labedz, Aaron Gratzmiller, Brian Eggleston, Ed Harlow,Isabel Stover, Santiago Hernandez, Ken Field and Steve Conahan at Newtonville Village Day & Jazz Festival. Fun for the whole family! Free to the Public.